Info: Created on 30th April 2018 . Last edited on Fri, 25th January. 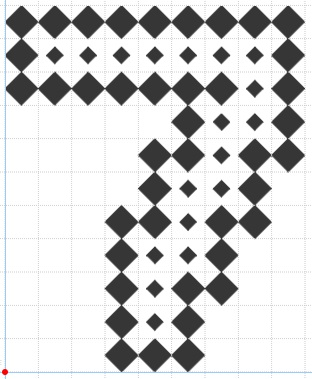 I wonder if the diagonal bars of the XYK> and < could be made a little wider. They seem narrower than the rest of the font. Love it otherwise. I noticed some glitches in the downloaded font. When I fixed them in the editor and saved, the font became corrupted. It looks fine on the site, but the downloaded font is now unusable. Great design. I'm looking into the download issues. 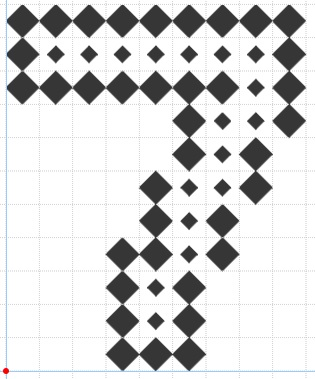 I think, with your unusual design including lots of shapes which just touch each other at a single point, you may have stumbled upon a bug in our software which joins up all the bricks into larger connected shapes (it’s called the FontMortar). If you set the horizontal and vertical brick size to 0.99 the download is likely to work (It does for me on a clone). Thanks for looking into it and for the info! This font now functions perfectly for every glyph. Congratulations! FontStruct Staff have deemed your FontStruction worthy of special mention. “Disco Bling” is now a Top Pick. 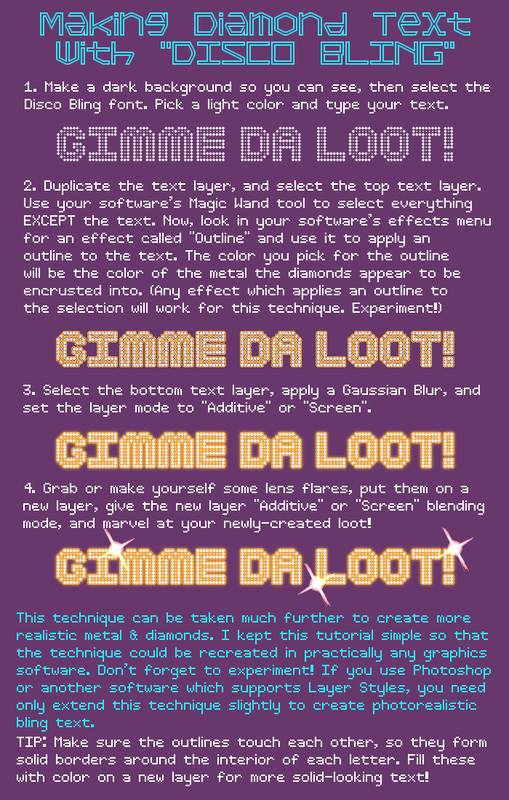 Here's a simple tutorial for getting the blingtext look.